Don’t worry, they are unlikely to be cold sores. Mouth ulcers (also referred to as apthous ulcers) are small sores that form in the mouth inside cheeks, lips, your tongue or at the base of the gums. Not to be mistaken with cold sores, which appear as blisters – generally on the outer lips – and are the result of a virus. Also, unlike cold sores, mouth ulcers are not contagious. Oral ulcers appear as painful, small, round, shallow ulcers, usually white or grey in colour, with the immediate surrounding tissue appearing red and inflamed. When there is a repeated occurrence of one or numerous ulcers at the same time, this is referred to as ‘Recurrent Aphthous Stomatitis’ or Recurrent Mouth Ulcers. These ulcers tend to be scattered across the lining of the mouth rather than clustered together, and the cause is not known, but is thought to involve the immune system. 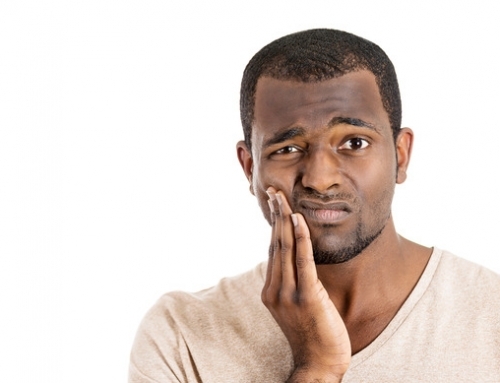 If you have ever had a cold sore (and more than 90% of us have) it’s also possible you can have crops of small ulcers that are viral in nature: tiredness, general ill-health and being run down are triggers for cold sore ulcers inside your mouth. They will generally heal in 2 to 3 weeks (but they can be painful while they are healing). To be certain of the nature and possible cause of any sores inside your mouth – especially if they are persistent or not healing – it is time for a visit with Patrick, Miree or Magdalena at Moss Vale Dental. This is of particular importance if you are also experiencing other, seemingly unrelated symptoms, such as rashes, joint pain, fever or diarrhea – because oral symptoms of systemic problems are often the first indication of ill-health. Our caring Moss Vale dentists take your concerns seriously. Don’t hesitate to call our clinic today on (02) 4869 3111 to book your appointment.